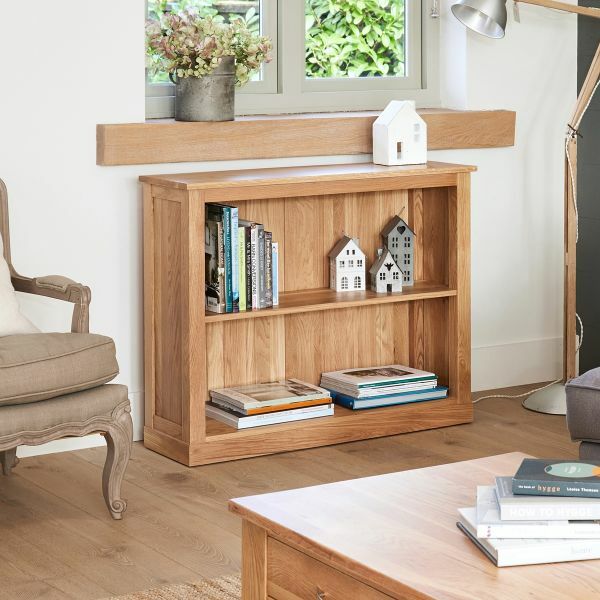 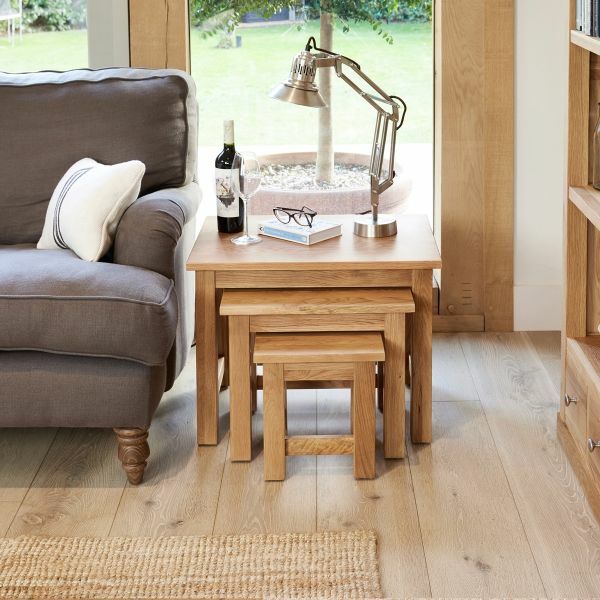 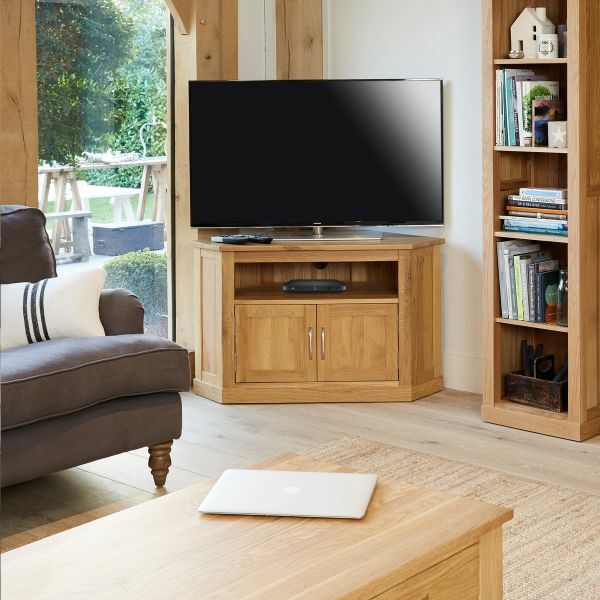 This beautiful Mobel Oak Widescreen TV Cabinet is hand constructed from the very highest quality solid oak - environmentally friendly of course - all of our oak furniture is sourced from sustainable sources and managed plantation. 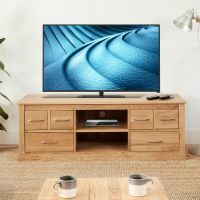 The classic design displays a contemporary, clean and modern edge that suits any living room or home and has been specifically designed for large (LCD/ Plasma or LED) televisions up to 85" wide. 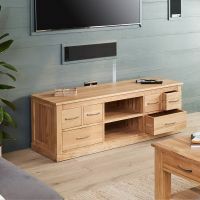 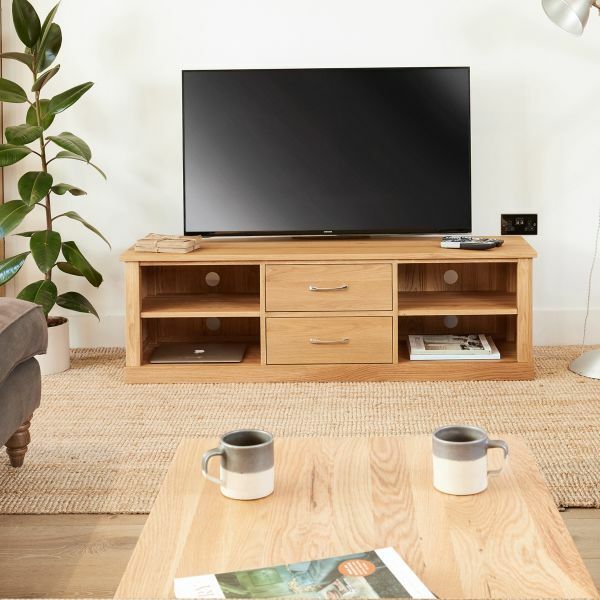 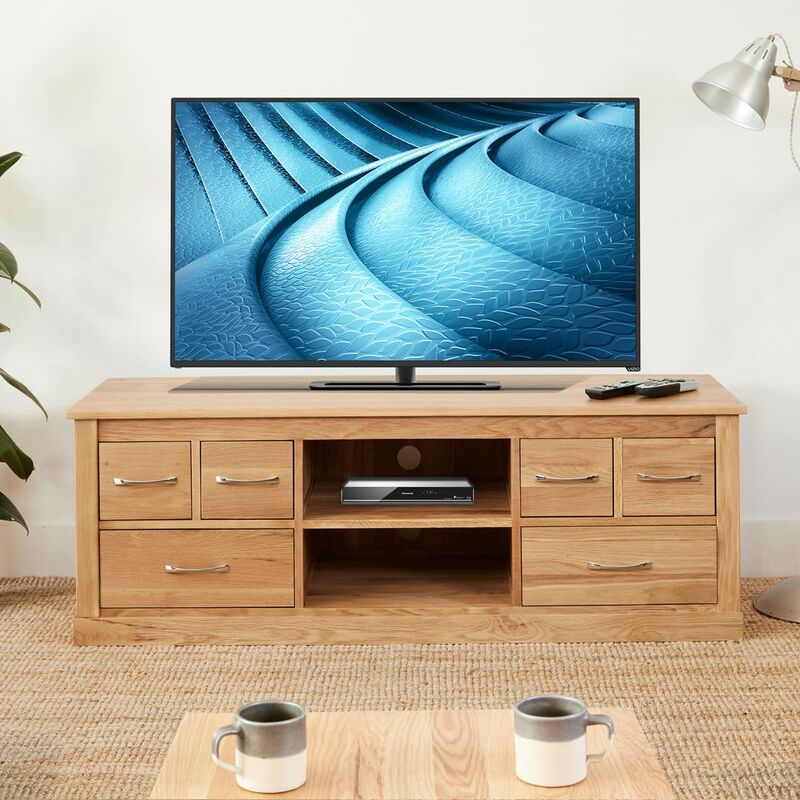 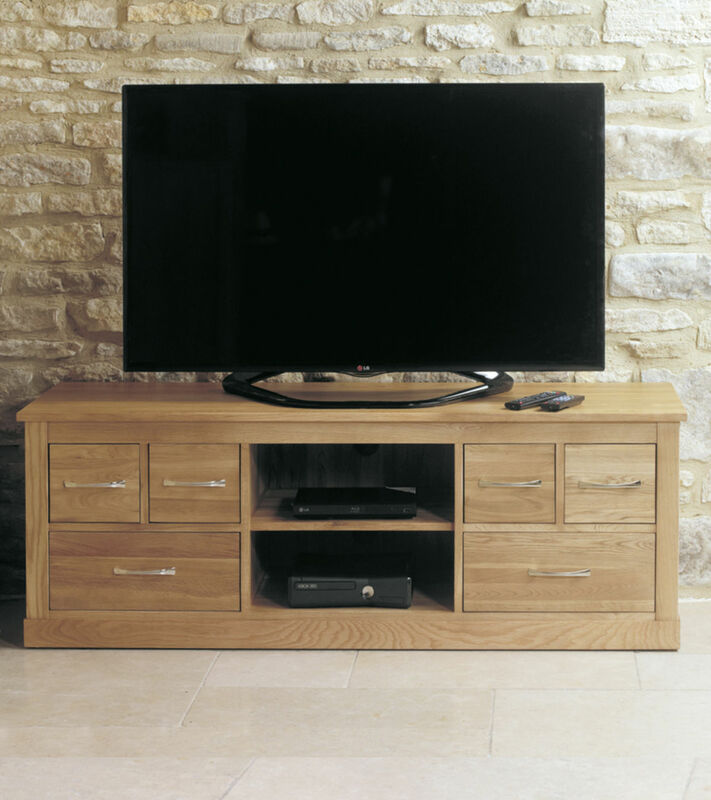 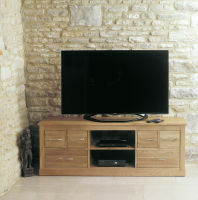 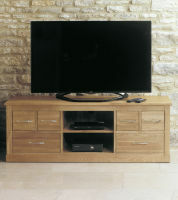 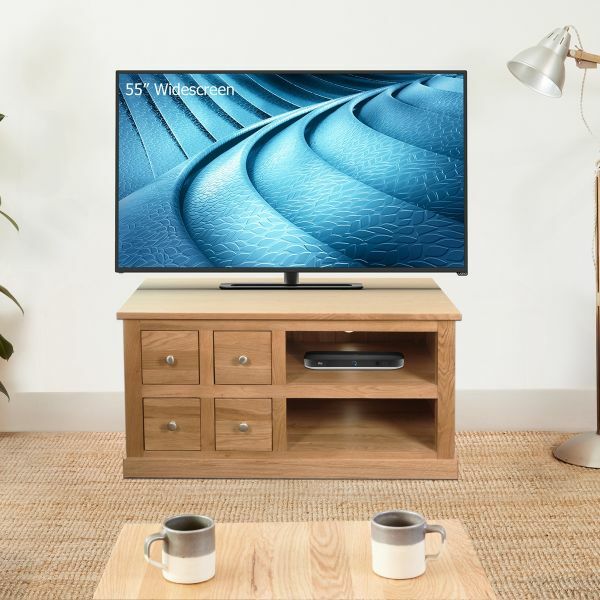 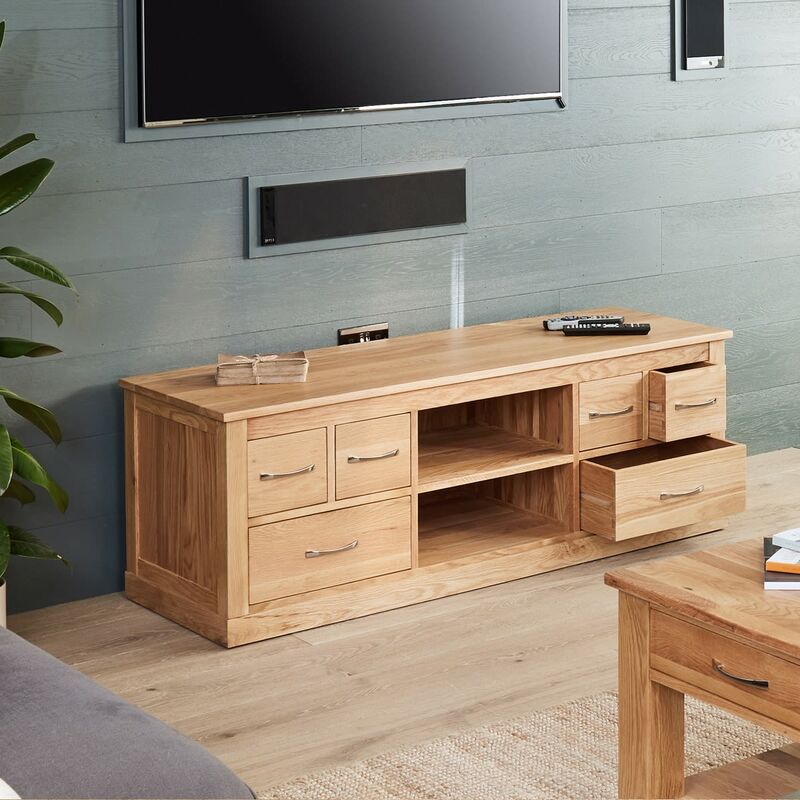 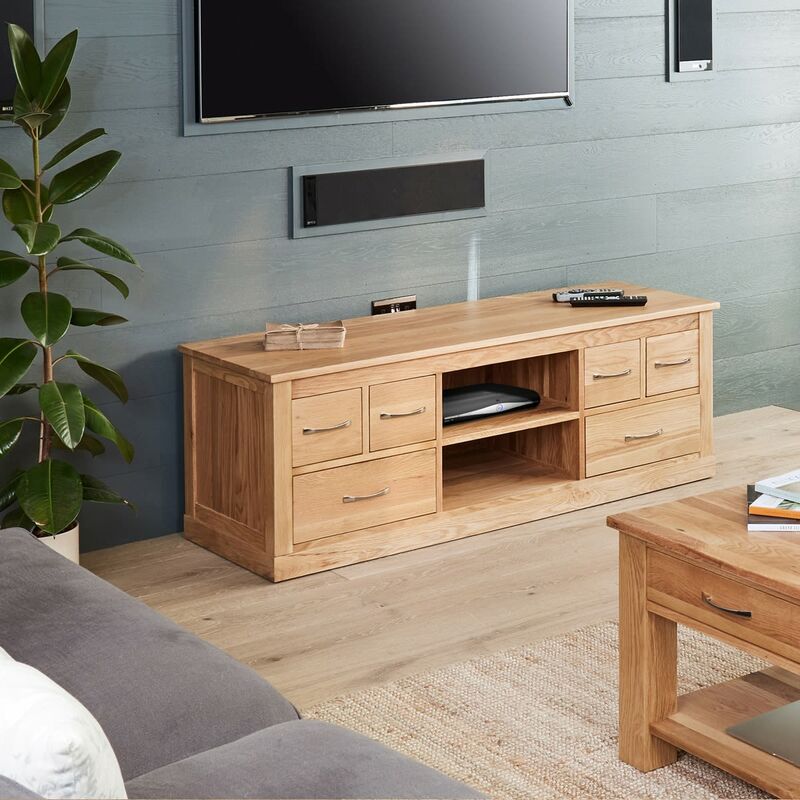 One of the main features that everyone needs from an oak widescreen tv cabinet is storage; with six drawers (two large, four smaller), two large open shelves for DVD and other accessories there is plenty for even the largest of home entertainment set-ups. 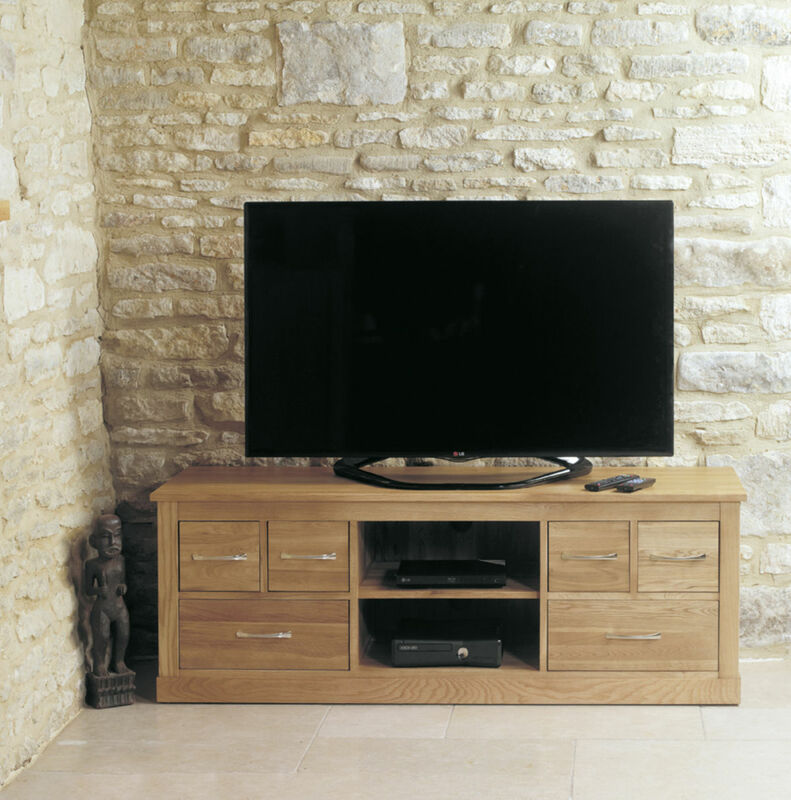 The pre-drilled cable holes at the rear of the cabinet keep everything neat and tidy. 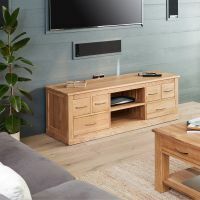 This oak widescreen TV cabinet is finished to exceptional standards using a resilient satin lacquer finish that both emphasises the beautiful oak grain, whilst protecting the surface from scratches. 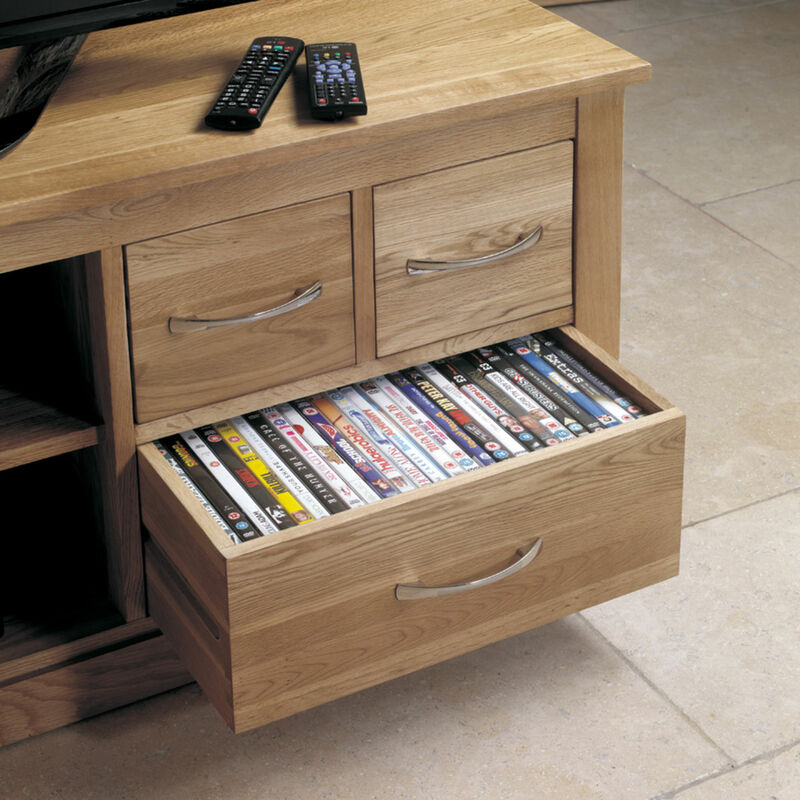 Stylish two-tone steel handles complete the look.